Nescafé is currently offering a promo gift. This promotion is available at Carrefour, Zhuhai. 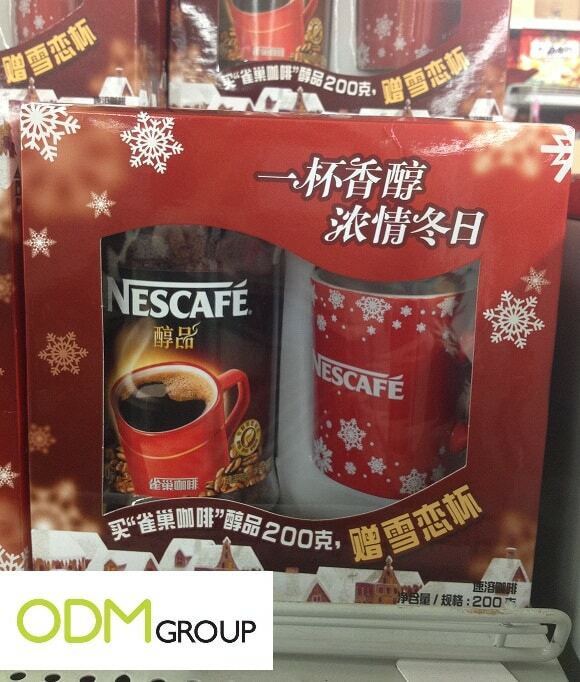 With every bottle of coffee mixture purchased, you will get to receive a winter edition mug from Nescafé. This mug is the perfect mug for winter as it is red in colour with snowflake imprints all over it, bringing out the festive season of the year, Christmas. So what are you waiting for? Hurry down to Carrefour now! While stocks last! Nescafé is a brand that was introduced by the Nestlé company in Switzerland in the 1930s. It is a brand that produces instant coffee for coffee lovers and has since then grown to be a renowned brand recognized by consumers worldwide. Why use a promo gift? A promo gift serves as the best form of advertisement at a much lower cost as compared to television, newspapers and magazines. Many companies aim to attract and retain more customers with the help of a promo gift. By offering a promo gift, you are selling your brand as it shows that your company values its customers and wants the best for them. Customers would instantly be attracted to the promo gift and would want to purchase your product. This promo gift will leave a good impression of the brand image on consumers. Satisfied consumers will then spread word about the promotion to their friends and family, helping to increase brand awareness and brand recognition. How can a promo gift help to increase sales for your company? Word of mouth is the most cost efficient and effective way of advertising. By offering a promo gift, many people would come to notice your brand and the products that you sell. This would induce them to choose your brand over others in anticipation for future promotions. Over time, brand loyalty is cultivated and this would ensure that there are regular customers purchasing your products. As more and more customers become loyal to your brand, sales will definitely increase in the long run.